Home / Help us to protect orangutans in the wild. The gift that gives back. 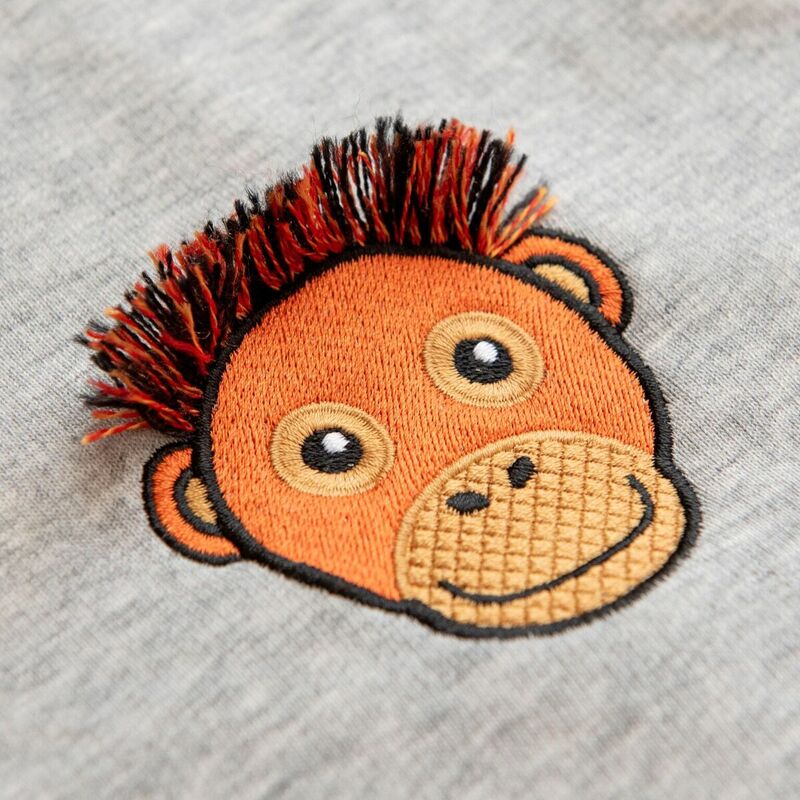 We are very excited to launch our new ‘fluffy haired’ baby orangutan sweatshirt. Available in a soft organic grey marl cotton for both adults and children. We love our latest design and hope that together with our customers, we can help to protect orangutans in the wild. We have partnered up with the Sumatran Orangutan Society and will be donating £4 to them from every orangutan sweatshirt sold. Order your sweatshirts here. Perfect for a caring Christmas gift. The Sumatran Orangutan Society are an amazing charity who work to protect orangutans and the rainforests of Northern Sumatra. With only 14,600 remaining in the wild due to the relentless destruction of rainforests makes this precious ape extremely vulnerable in becoming extinct. 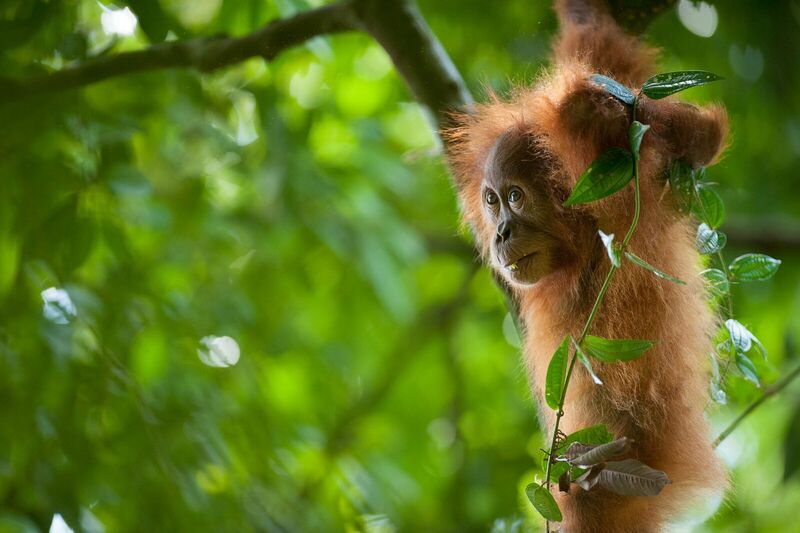 Once widespread throughout the forests of Asia orangutans are now only found on two islands, Sumatra and Borneo. Why is it important that we protect Orangutans and their forests? The orangutan is one of our closet relatives in the animal kingdom, sharing 96.4% of our DNA. Indigenous people of Indonesia and Malaysia call this ape ‘Orang Hutan’ which literally translates as ‘person of the forest’. They are highly intelligent and gentle animals. They use tools and have a fantastic memory, making mental maps of their forest home in order to find fruiting trees throughout the seasons. As well as thousands of species of animals and plants, more than four million people in Sumatra rely on the existence and preservation of the forests. 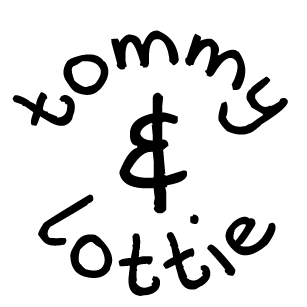 Without the forest, temperatures would soar, huge amounts of carbon would be released into the atmosphere and many surrounding villages would flood. De-forestation for farmland destroys all manner of natural balances and is one of the biggest drivers of climate change, a danger that affects us all. Orangutans and other species that share the rain forest play an important part for our eco system. Orangutans are sometimes referred to as ‘gardeners of the Forest’ as they eat hundreds of different of fruits and then plant the seeds throughout the forest in their dung. Palm oil is found in everyday foods and cosmetics and is contributing to the rapid deforestation in Sumatra. Orangutan habitat is being cleared at an alarming rate to make way for the palm oil plantations as it is a huge income and employment for countries such as Indonesia. Sumatran orangutans are not the only species which are critically endangered the Sumatran Tiger, Elephant and Rhino are too as they all share the same habitat. ‘fluffy hair’ embroidered orangutan design. 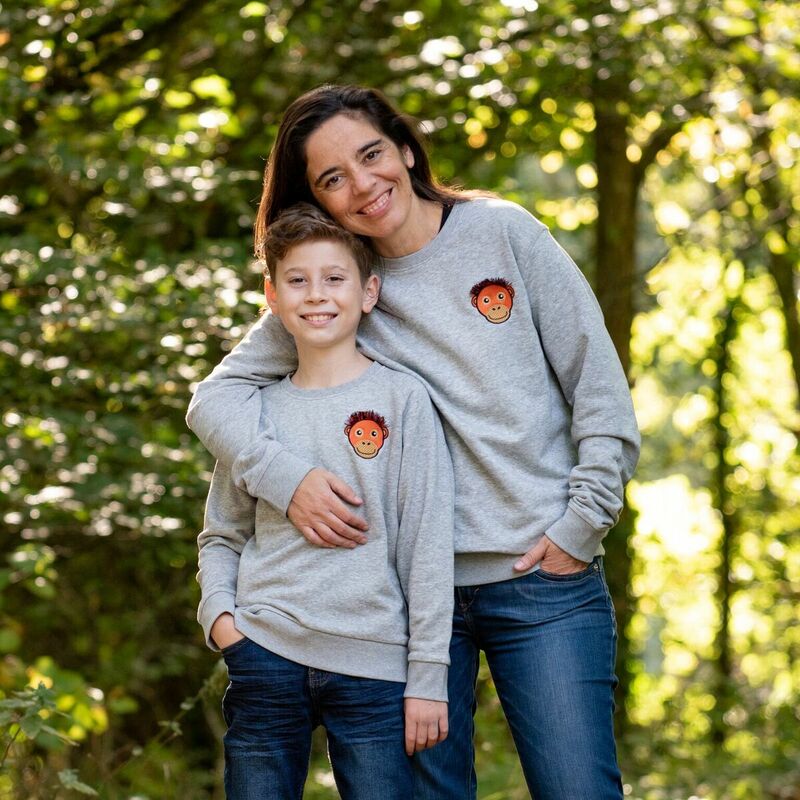 Help the orangutans and order your sweatshirts. The Gift that gives.